This was filmed at the Bujinkan Kaigozan Dojo during the late fall of 2016 and early 2017. The theme was Gyokko-ryu Kosshijutsu. There is no verbal instructions on this film. Each technique is demonstrated several times from all angles. For more information about this ryu-ha click here! Please notice there is several sub-pages to this page with more information, also including an errata for the Densho book published by Hatsumi Soke. Techniques is demonstrated from several angles including slowmotion speed. There is no verbal instructions, we highly suggest you get the Unarmed Fighting Techniques of the Samurai book (what I call the Densho Book by Hatsumi Soke). 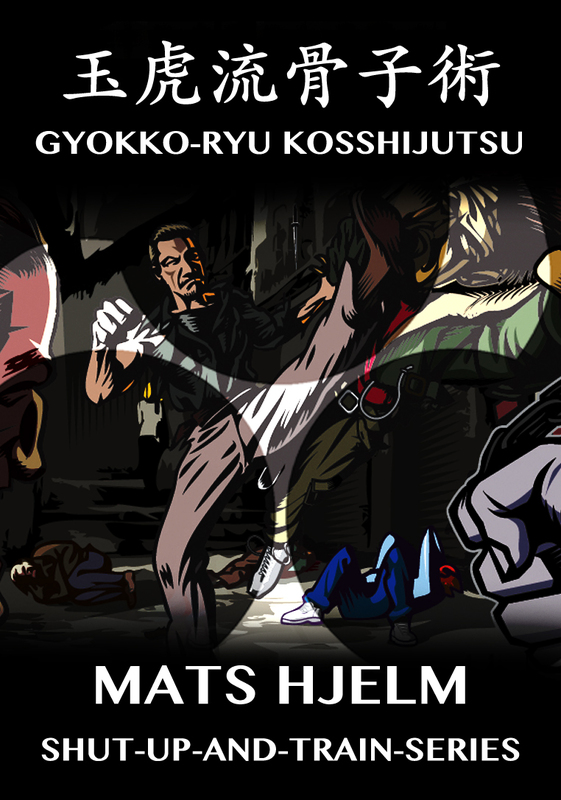 This book have all Taijutsu techniques from all the Bujinkan ryu-ha described, it is a must have for all studying the Bujinkan arts. Each file contains chapter markers for all the techniques for easy skipping to the technique you want to study. You can import the files to your iTunes library and sync it to your iPhone or iPad, or stream to the AppleTV. You can import it to any other library that supports the mp4 format and put it on your Android phone or tablet. Or you can play it directly from your hard drive, streaming to your TV etc. 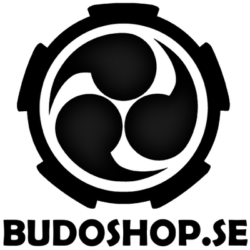 This was filmed on a seminar at Bujinkan Dojo Norrköping in November 2014. The theme was Gyokko-ryu Churuaku no Maki. There is no verbal instructions on this film. Each technique is demonstrated several times from all angles. It is approximately 20 Minutes playing time. This is the second Taijutsu level in Gyokko-ryu and a very important if you want to learn the Bujinkan Budo Taijutsu system. The first two techniques is performed without weapons. The next six the attacker is using a Kodachi (small sword) so that Muto-dori is used. The last two is attacks from behind so you need to make use of the Sakki feeling (killing intention). Doron Navon also acted as the translator. The theme was Taijutsu and weapons. Soke taught Bujinkan basics such Koku from Gyokko-ryu. Taihenjutsu, rolling, tehodoki getting out from a hand grab, onikudaki, ganseki nage. Muto-dori evasion from sword attacks. Hanbojutsu techniques with a stick. Sword, spear and much more was also covered. 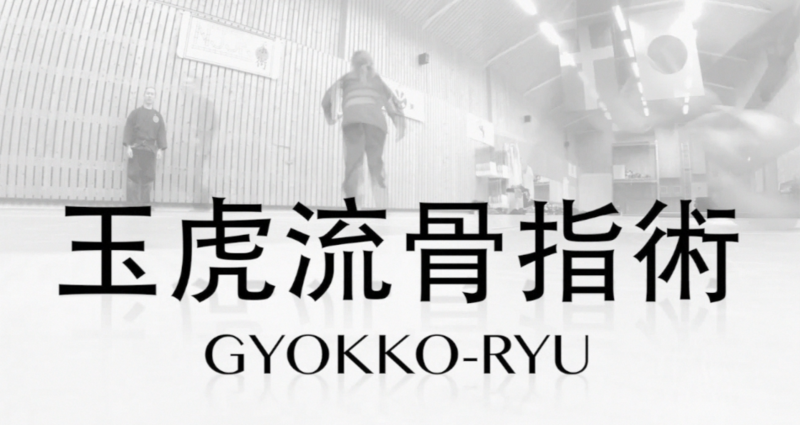 Thanks to Sveneric Bogsäter who allowed us to reproduce this video to DVD, now you to can get a copy of this great historical video document from the first Swedish Taikai. 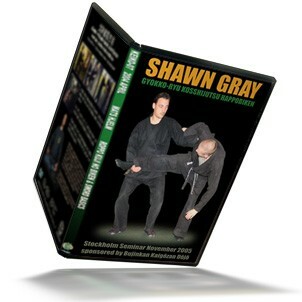 This was the 6’th seminar (excl a few Tai Kai and extra trainings) with Mr.Shawn Gray at Kaigozan Dojo in Stockholm Sweden. The theme this time was Gyokko-ryu Kosshijutsu Happobiken, Bojutsu, Ukemi, Sanshin no kata. The Tuesday training theme (after Kaigousuru) was Rokushaku Bôjutsu, many variations and ideas on how to defend against someone taking control of your staff and then attacks. Principles and ideas from Gyokko-ryû and this years Bujinkan theme was also covered in detail. 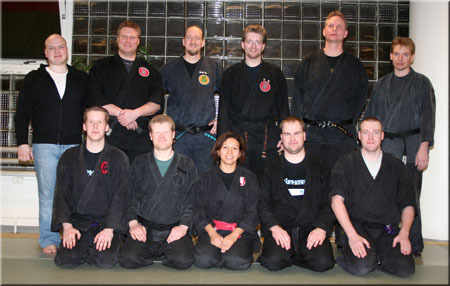 The training was led by Shawn Gray who is a well known and respected instructor in Bujinkan Dojo. Reflections of this years Bujinkan theme, Gyokko-ryu kosshijutsu. Many people went to Japan this year and they all came together to share on this seminar. The instructors was Christian Spicker, Ola Grönlund, Martin Berg, Fredrik Markgren, Roger Mattsson, Petter Swedin, Kristoffer Metsälä, Christer Westberg, Mats Hjelm, Jonas Stenlund, Arvid Karlsson, Arne Elmlund. Most of the instructions is in Swedish, some instructors spoke in English! Note: Some of the instructors spoke Swedish, and others English. This movie is available on DVD (click here!) or available as download, click button below. Recorded: Recorded in Stockholm April 30th-May 1st 2011. 120 minutes, NTSC system, region free. Buy the DVD click here! The instruction is in English Format: NTSC, AAC Stereo, DVD/R- (it might not work on older DVD players! check your manual first!) approximately 120 Minutes playing time. We also released an 82 minute video as download file with warm-up and basic Taijutsu training drills. Including extra 20 minutes with henka that we couldn’t fit on this DVD. This is only available as download file, click here for more information about the Download video! 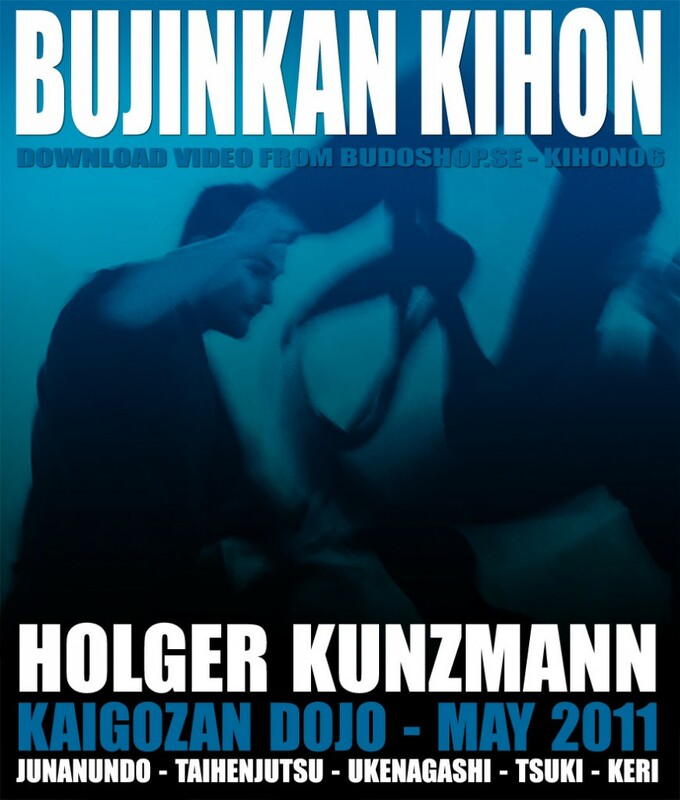 This 82 minute video is from a seminar Holger taught at the Kaigozan Dojo in April/May 2011. 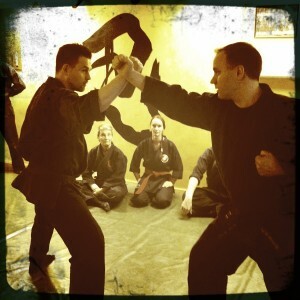 On this video he teaches the Bujinkan Dojo Budo Taijutsu fundamentals. If you know the fundamentals really well you can then start putting each sequence together and better understand the ryu-ha kata. Without a good foundation, you can never really do the kata correctly. Junan-undo : Warm-up exercises, self massage, flexibility and body conditioning exercises and routines. Kamae : Proper body postures and how to move, Sabaki. Ukenagashi : How to block strikes and kicks. And much more. For example, we added 20 minutes extra material of some henka techniques from the Keiko#31 Gyokko-ryu Kosshijutsu Geryaku DVD (extra material that we couldn”t fit on the DVD).